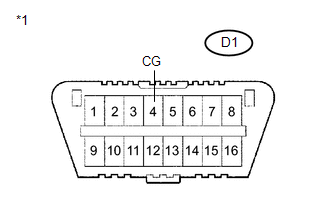 DTC output mode is set by connecting terminals TC and CG of the DLC3. DTCs are displayed by blinking of the SRS warning light. When each warning light stays blinking, a ground short in the wiring of terminal TC of the DLC3 or an internal ground short in each ECU is suspected. 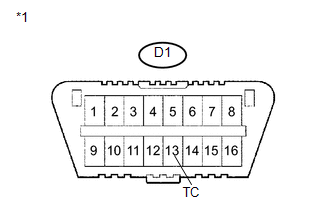 A DTC output mode signal is transmitted through the CAN communication system to each ECU including the center airbag sensor assembly. 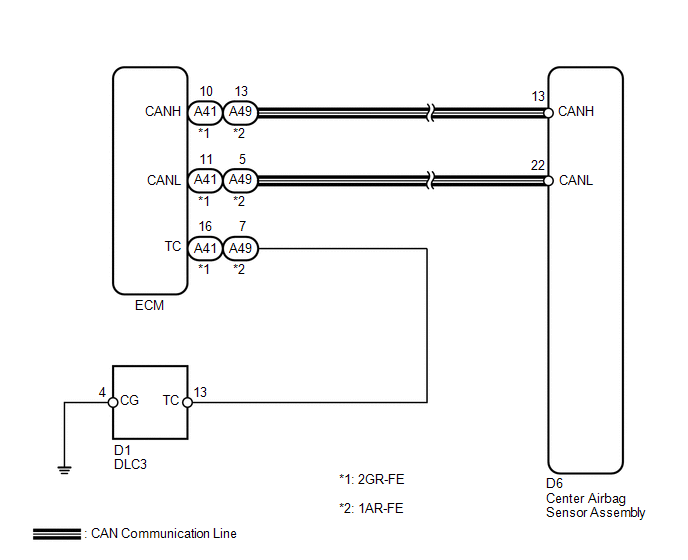 Thus when all systems do not enter DTC output mode, there may be an ECM malfunction. 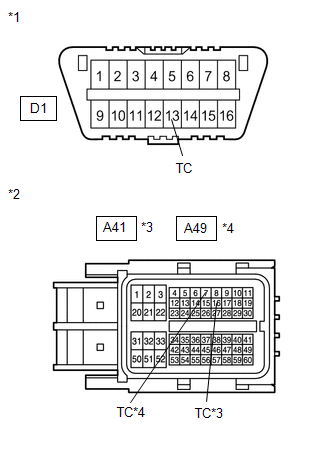 (b) Disconnect the connector from the ECM.